Most of us have at least one irrational food dislike, right? Mine is mushrooms. My wife told me to not write about this topic because I am incapable of being objective. In fact, when my daughters were young, I would visit their classrooms to give the doctor/dad health talk. Somehow my anti-mushroom bias would sneak in, and I hereby apologize to any impressionable young minds I may have impacted. Hopefully my other, more scientifically based, messages got through. I am now older and hopefully more mature, so here is a far more balanced evaluation of the literature on the health impact of mushrooms. Mushrooms have been consumed for thousands of years. Early Greek, Egyptian, Roman, Chinese, and Mexican civilizations valued the mushroom as both a culinary delicacy and as a medicine. They are normally classified as a vegetable or an herb, but mushrooms are actually fungi. They are found in a variety of shapes, sizes, and colors. Poisonous mushrooms can be difficult to identify in the wild, so unless you are skilled in picking them, always buy from a reliable source. 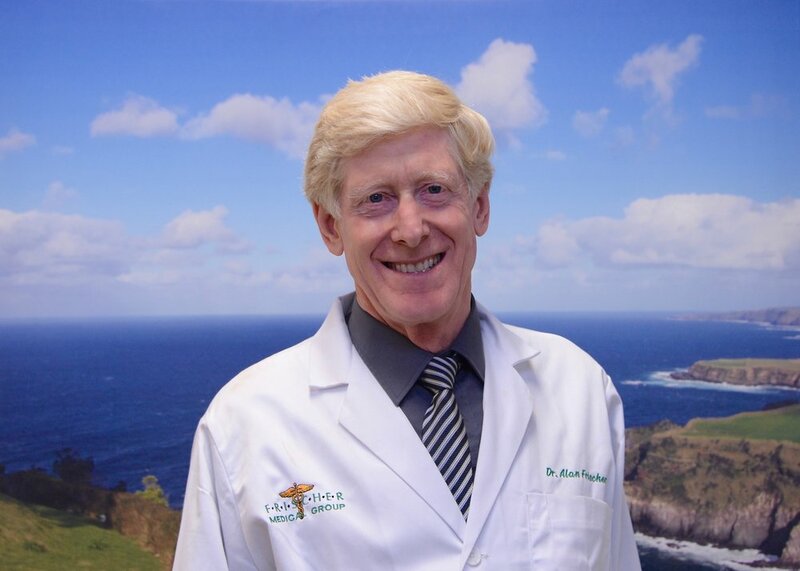 · One study substituted mushrooms for meat, thereby reducing calories over a six-month period. Those on the mushroom diet experienced a significant loss in body weight, BMI, and inches around the waist. However, the meat group did as well, and the difference between the two groups was not statistically significant. One guess is that when we cut out one source of fat, we tend to substitute another. · A shitake mushroom extract was tested to see if it could improve oral health by slowing tooth demineralization and alter the microbes in our mouth. The study looked at a placebo, the shitake extract oral mouth rinse, and a leading gingivitis mouthwash. The mushroom rinse performed best, followed by the gingivitis mouthwash, and last was the placebo. ·An association was demonstrated between mushroom intake and a lower breast cancer risk for women with certain types of tumors. ·Various mice studies have demonstrated improvements in the gut microbiota, mental cognition, and immune function. However, human studies haven’t yet confirmed such findings. Research would still be useful to identify potential benefits of various species of mushrooms. Be careful, however, as there are numerous unproven claims out there that sound way too good to be true – and probably are. But this much is clear: mushrooms are fat-free and quite low in calories and sodium, and are therefore a good food for people trying to control calories and blood pressure. They are also an excellent source of potassium (a portabella mushroom has more potassium than a banana), which helps to further lower blood pressure. They are loaded with antioxidants, including selenium, which help to protect the body from damaging free radicals that can lead to heart disease and cancer. They are a significant source of beta glucan, which is a form of soluble dietary fiber that helps to lower cholesterol and regulate blood sugar. Mushrooms are rich in the B-vitamins riboflavin, niacin, and pantothenic acid. They are rich in copper, which helps the body make red blood cells and vitamin D.
With enormous reluctance, I must conclude that mushrooms are a nutritionally sound food, filled with substances that may very well boost our health. While I still have absolutely no intention to add them to my own menu, I will admit that they certainly can be a part of a sound and balanced diet. Summer is here, and with it, even more sun and its ultraviolet radiation. We’ve gotten pretty good at using sunscreen to protect our bare skin from UV rays, right? What about our naked eyes? Here is what we all need to know about sunglasses. * Cataracts, a clouding of the eye’s lens which makes what we see appear darker and blurry. Some 20% of cataracts are triggered by excessive exposure to UV rays, and the World Health Organization reports that approximately 900,000 people worldwide are blind due to cataracts. *Macular degeneration, a result of damage to the retina that destroys central vision. It is the leading cause of blindness in the United States. *Pterygium, also called surfer’s eye, is a growth of tissue over the white part of the eye’s surface. This can alter the curve of the eyeball, leading to astigmatism. *Skin cancers, which can be found on the eyelid. In fact, they are surprisingly common there, representing about 10% of all skin cancers. *Photokeratitis, essentially a sunburn of the eye. Fortunately, it is temporary, and typically heals within 48 hours. It can be painful, and cause blurred vision, sensitivity to light, and the sensation of having sand in the eye. So, this is why it is so important to protect our eyes from the harmful affects of UV rays! Now let’s discuss sunglasses. They are not all the same. They can cost very little, or quite a bit. How do we choose the right pair? The most important thing to consider is that brand and price matter far less than does selecting a pair that blocks out both UVA and UVB radiation (UVB is actually more harmful than UVA). A pair is acceptable if it offers UV protection of at least 95%. Avoid sunglasses that are not labeled at all. Recently I visited a sunglass kiosk where there were no such labels, and was told that they had been removed to make the sunglasses look more attractive. Perhaps that was the truth, but nevertheless, I took my business elsewhere! Consider that the ideal sunglasses are wraparounds, which protect us from UV rays coming in from the sides. And, note that even if your contact lenses have UV protection, wearing sunglasses is still important. Pay special attention to wearing them at higher altitudes where the UV rays are even more intense, and when you are near water or snow. Some medications can cause even greater sensitivity to light, including certain antibiotics, nonsteroidal anti-inflammatory drugs (NSAIDs) and diuretics. Please get into the habit of wearing your sunglasses year-round. Cloudy days do not stop UV rays! Please remember that children’s eyes are even more susceptible to UV rays. While you’re at it, throw in a wide-brimmed hat for extra protection. It can’t hurt! Summer is here, which means that we’ll be enjoying pools, the ocean, and other opportunities to swim and cool off. This brings exercise and joy, but let’s remember that drowning is the second most common cause of accidental death for those under age 15 (car accidents are number one). What's more, nearly half of these deaths happen within 25 yards of an adult, and 10% of adults who witness those situations don’t even realize that the child is in danger. Would you know how to spot a drowning victim? In Hollywood movies, drowning tends to occur with a lot of splashing and yelling. In real life, even with a lifeguard on duty, drowning can occur quickly and silently. We have to be able to breathe in order to call out for help, and our hands must be free in order to wave or even loudly splash. Remember that children in the water tend to make noise. Peace and quiet can be a very bad thing. There are two phases of drowning. The first is aquatic distress, when the victim knows that they are in trouble and can wave or call for help. The next is the instinctive drowning response, when they can no longer maintain their airway. Often the head will be back, the eyes will be glassy, and they will be looking toward safety. The drowning person is vertical in the water, with minimal kicking and splashing down on the water with extended arms, trying to keep the head up. The head might bob above and below the surface of the water. A drowning death takes between three and four minutes, but no more than 30 to 60 seconds of that is struggling on top of the water. If you spot someone in trouble, stay calm and act quickly. Call for help. If it is safe to get into the water, do so, but never put yourself at risk. If it’s not safe to enter the water, find something that the swimmer in distress can grab. This might be a flotation device, pole or branch, or a rope attached to a life ring or life jacket. Drowning accidents are preventable. Learn to swim yourself and teach your children or find a certified swimming instructor. According to the World Health Organization, a lapse in adult supervision is the single most important factor in child drowning deaths, and most kids who drown are under the age of four. At busy social events, it’s common for everyone to think that someone else is watching. Always be vigilant; someone needs to be a full time “water watcher;” nearby and attentive when children are in the water. This means that the responsible adult is not socializing or talking or texting on the phone. Even the presence of a lifeguard may not be enough. For children who are not strong swimmers, the responsible adult should use “touch supervision,” in which they are close enough to reach the swimmer in an emergency. Even older children who are proficient swimmers should still swim with a buddy. Take a first aid and CPR class. Never leave a child or weak swimmer unattended in the water. Absolutely never consume drugs or alcohol before going in the water. I love the ocean and I love to swim, and I urge you to enjoy this healthful and enjoyable activity. CDC: Suicide rates rising across the U.S. Suicide rates have been rising in nearly every state, according to the latest Vital Signs report by the Centers for Disease Control and Prevention (CDC). 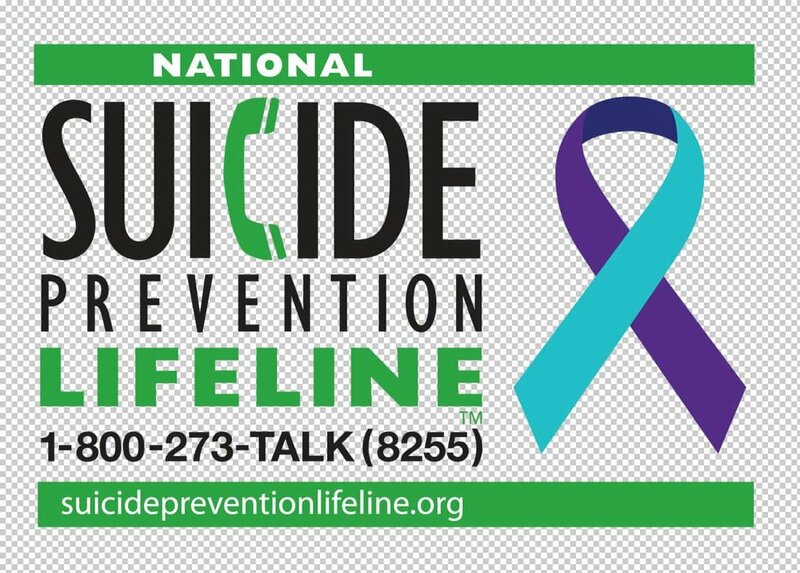 In 2016, nearly 45,000 Americans age 10 or older died by suicide. Suicide is the 10th leading cause of death and is one of just three leading causes that are on the rise. Congenital Insensitivity to Pain with Anhidrosis (CIPA). This is an extremely rare inherited nervous system disorder, which prevents the feeling of pain, heat, cold, or even the need to urinate. It’s present from birth, and victims might bite off the tip of their tongue, break bones, or damage their cornea if they neglect to brush a foreign object from their eye. While it might seem like a wonderful thing to not feel discomfort, pain is a life-saving physical response to danger. Fish Odor Syndrome. This is a rare genetic metabolic disorder. As the name implies, there is an offensive fishy body odor, usually present from birth. It is due to an excessive excretion of the chemical trimethylaminuria (TMA) in the urine, sweat, and breath. More common in women than men, the odor appears to be the only symptom. Treatment includes certain dietary restrictions, using acidic lotions and soaps to remove the chemical from the skin, and antibiotics. Alien Hand Syndrome. Some refer to this as the Dr. Strangelove syndrome. A hand seems to go rogue and the sufferer feels that it has a will of its own. Also known as anarchic hand, it was documented in 1908 by a German neuropsychiatrist. This condition occurs in those who have had the two hemispheres of their brains surgically separated, or have suffered a stroke, or possibly have had Creutzfeldt-Jacob disease (the human form of mad cow disease). Cotard Delusion. This condition is also known as Walking Corpse Syndrome, and was first described in 1880. The person wakes up one day and thinks that they have died, that they no longer exist, or that their flesh is rotting off. Yes, of course, it’s all in their head, but an actual physical cause has been found: the brain regions responsible for facial recognition and emotion have become disconnected. Their appearance has lost its association with their sense of self, resulting in extreme cognitive dissonance. The only known effective treatment is electroconvulsive therapy (electroshock). Morgellon’s Disease. I have seen this condition more than once: sufferers feel as though they have parasites or foreign material moving in, or coming out of, the skin. They feel things crawling, biting, and stinging from beneath the surface of the skin. This causes a constant urge to scratch, resulting in insomnia as well as terrible skin lesions. They have no actual physical disease, or organisms under their skin, and whether there is a neurological cause is not yet known. Most health care professionals believe that Morgellon’s disease is a form of psychosis and that the symptoms are imagined. While there is no specific cure for Morgellon’s disease, individuals who suffer from this condition have been found to benefit from medications that treat psychosis or tic disorders. This isn’t technically a disease, but it is rare and perhaps the single most disgusting thing I have seen in my own practice: Maggot Infestation. A fly lays eggs, which turn into larvae, or maggots. Flies will lay their eggs anywhere that appears to be safe and will provide a food supply. This is why humans or rotting food may be a host. Removing the food source, or treatment with boiling water, bleach, or hydrogen peroxide, will eliminate the problem. My patient was an older man with dementia who loved to sit in his garden for hours. His wife brought him in with toe pain – and I will admit that I elected to skip lunch that day. Let’s hope that this is the last you’ll ever hear of these diseases! DOWNEY – Kaiser Permanente Downey Medical Center recently announced an investment of more than $250,000 in grants to five local non-profit organizations. The grants will help support children and the elderly through organizations that provide access to healthcare services, promote community safety and violence prevention, and increase mental health care. Community Family Guidance will create additional access points for mental health services in the southeast Los Angeles city of Bell. Elevate Your GAME will sustain their successful, long-standing one-on-one mentoring program in Compton and help expand the mentoring program to Lynwood High School. Pathways Care Navigation Program will keep vulnerable, at-risk seniors stable, safe and independent in their own homes. In collaboration with the Cal State Long Beach Nursing Department, the program engages seniors in Bellflower, Lakewood and Paramount through in-home visits to create personal care plans, which address medication management, monitoring of chronic conditions, and safety assessments. St. John’s Well Child and Family Center will launch an online patient portal for patients at their Compton clinic site. This online patient portal will connect physicians with their patients electronically and offer more streamlined care. Urban Compass will expand their highly successful one-on-one mentoring program to middle school students in Watts. Since 2010, Kaiser Permanente Downey Medical Center has donated more than $1.2 million to more than 100 community partners. Dr. Marcie Bockbrader is leading a new clinical trial at The Ohio State University Wexner Medical Center studying how vagus nerve stimulation can improve motor function in patients who have suffered a stroke. Electrical nerve stimulation could help patients regain motor functions sooner. I recently addressed a class of 6th graders on the topics of germs and hygiene. As you can imagine, we spent much of the time discussing the importance of hand washing, which in turn led to the subjects of soap, water, and antibacterial cleaners. What’s new in the scientific literature? Hygiene plays a significant role in how frequently we get sick. The data is rather depressing regarding hand washing after using a public toilet. Studies show that women are better at it than are men: roughly 62% of women wash after using the bathroom, while only 40% of men do. Even worse, only 5% of all people wash correctly. I’ll get back to that. that most people spend five seconds with their hands underwater – if they wash at all). The results? Alcohol-based hand sanitizers worked better than those without alcohol. Antibacterial soap worked only slightly better than regular soap. Washing with soap and water is the first choice, however, especially if the dirt on your hands is visible. Sanitizers do not actually remove the dirt. However, hand sanitizers are indeed more effective than soap and water in eliminating germs. The bottom line is that technique is actually more important than which product is used. Just to make it more complex, however, note that the *overuse* of hand sanitizers and antibacterial soap is not a good thing, as not all germs are bad - many are protective. The overuse of antibacterial products can encourage bacterial resistance, making it more difficult to fight the harmful germs when we really need to. ■ Wet the hands with running water (the temperature makes little difference), and add soap. ■ Rub the hands together, making a soapy lather. Wash the fronts and backs of the hands, between the fingers, under the nails, and around the wrists *for at least 20 seconds (the “ABC” song, or two rounds of “Happy Birthday”). ■ Rinse the hands well under running water. ■ Dry the hands thoroughly with a clean towel or air dryer. ■ Turn off the water with a clean paper towel or an elbow. ■ Rub the hands together, spreading it over all surfaces of the hands and fingers until dry. Always wash hands before preparing food or eating, treating wounds, dispensing medicine, caring for a sick person, inserting contact lenses, or touching your eyes, nose or mouth. Wash your hands after using the toilet, preparing food (particularly raw meats), changing a diaper, touching an animal, blowing your nose, coughing or sneezing into your hands, treating wounds or caring for the sick, handling garbage, household or garden chemicals, handling dirty towels, or shaking hands with others. My talk to the 6th grade class was a good reminder to me and to the parents in attendance, as well as to my target audience. Germs are all around us. Some of the germs can cause illness. Please pay attention to your cleansing routine. Until your hands are truly clean, keep them away from your eyes, nose and mouth…and from everyone else. AAA means one thing to a driver with a flat tire, but quite another to someone with a dilated aorta. If you are a man older than 50, you run roughly a 4-7% chance of having an abdominal aortic aneurysm (AAA), and if you are a woman over 50, your odds are closer to 1%. The aorta is the largest artery in the body, and it carries oxygen-rich blood away from the heart and supplies it to the rest of the body. The problem with an aortic aneurysm is not simply that it is a swelling of the aorta, but that as it grows larger, the risk of the aorta rupturing becomes significant. Usually there will be no symptoms before it ruptures, and it may not be possible to have immediate emergency surgery in time to repair it. The risk for rupture depends on the size of the aneurysm, and if it does rupture, 75% to 90% of the time it is fatal. In the United States, ruptured AAA is estimated to cause 4-5% of all sudden deaths. Therefore, screening is critical for those at high risk. Typically, an AAA is found when an exam is performed for another reason. A doctor may feel a pulsating bulge in the abdomen, or it might be detected through computed tomography (CT), magnetic resonance imaging (MRI), or abdominal ultrasound. accompanies surgery is even greater. 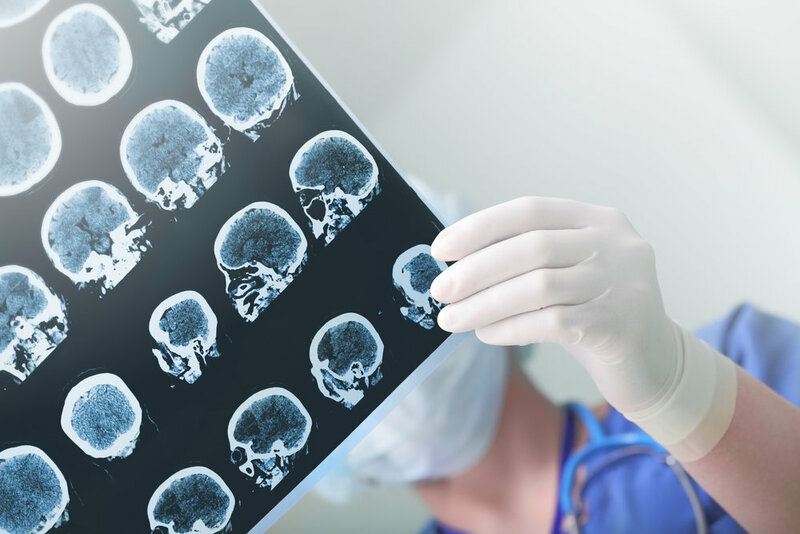 Surgical repair is typically considered an option only for aneurysms that have reached five and a half to six centimeters in size. Imagine knowing that you have an aneurysm of “only” five centimeters! Would it feel like a ticking time bomb? You can see how challenging those borderline cases can be. Current recommendations suggest that men between the ages of 65 to 75 who have ever smoked cigarettes should have a one-time screening for abdominal aortic aneurysm, using abdominal ultrasound. In addition, men aged 60 and older with a family history of abdominal aortic aneurysm should consider regular screenings. On the other hand, the statistics don’t support screening of women smokers ages 65 to 75, or those with a family history. The reason is that when lower risk populations (such as women) are screened for AAA, they are twice as likely to undergo elective surgery within three to five years. While the risk of death from elective surgery is far lower than the risk of death from rupture, many of these elective surgeries are unnecessary, and pose needless risk. The goal of treatment is to prevent a rupture. If the abdominal aortic aneurysm is too small to justify elective surgery, then it can be monitored. Monitoring would include annual x-rays, controlling blood pressure (which relieves the stress on weakened arteries), not smoking cigarettes, getting regular exercise, limiting alcohol, and eating a healthy diet. To regular readers of my columns, most of this list should look pretty familiar! Speak with your doctor about whether you are a candidate for screening. DOWNEY -- Kaiser Permanente Downey Medical Center once again received an “A” grade for their dedication to patient safety by The Leapfrog Group in its fall 2017 Leapfrog Hospital Safety Grade. “Patient safety is so important to us and we’re constantly working to ensure our patients are safe while under our care, so we’re extremely proud that our hard work has led to us earning recognition in Leapfrog’s Hospital Safety Grade,” said Jim Branchick, senior vice president and area manager, Kaiser Permanente Downey Medical Center. “Physicians and staff here at our medical center utilize advanced technology, along with carrying out the highest safety standards, all while delivering exceptional care that Kaiser Permanente is known for,” added Binesh Batra, MD, area medical director, Kaiser Permanente Downey Medical Center. 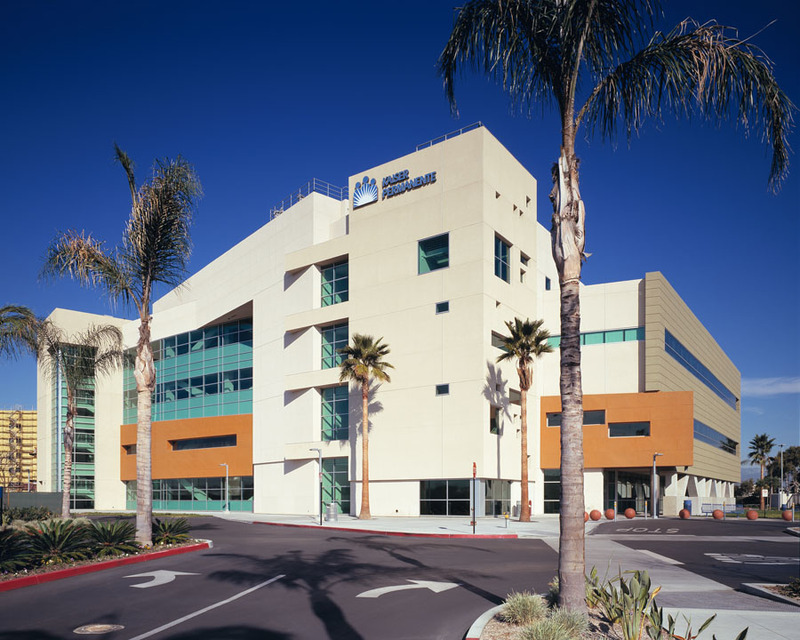 Along with Kaiser Permanente Downey, nine other Kaiser Permanente Southern California hospitals received Leapfrog’s “A” rating, including medical centers in Anaheim, Baldwin Park, Fontana, Irvine, Moreno Valley, Ontario, Panorama City, West Los Angeles and Woodland Hills. Developed under the guidance of Leapfrog’s Blue Ribbon Expert Panel, the Leapfrog Hospital Safety Grade uses 30 national performance measures to produce a single letter grade representing a hospital’s overall performance in keeping patients safe from preventable harm and medical errors. The Leapfrog Hospital Safety Grade methodology has been peer reviewed and published in the Journal of Patient Safety. Thanksgiving is one of my favorite holidays. It reminds me to focus on gratitude, and to spend time with dear family and friends. For most of us, it’s also about…the food. indulgence, or a real health concern? Every morsel of food we ingest, whether part of a Thanksgiving feast or a small healthful snack, travels through the body and causes the release of hormones, chemicals, and digestive fluids. The average meal takes between one and three hours to exit the stomach. A large meal can take between eight and 12 hours! On a typical day, the average American consumes about 40 to 50 grams of fat in about 2,000 calories. I find it shocking that those figures can skyrocket to some 4,500 calories and 230 grams of fat on Thanksgiving Day. ·Overeating makes our bodies work harder. To process the extra food, the heart pumps more blood to the stomach and intestines. At the same time, heavy fat consumption may lead to a higher risk of blood clots. The risk of heart attack surges, with some studies showing a four-fold increased risk of heart attack, two hours after consuming a large meal. ·As the stomach releases food into the intestines, the gallbladder squeezes out bile to help digest the fat. The extra demand for bile may result in a gallstone or sludge being painfully squeezed into the narrow duct that leads to the intestine. ·A large meal can trigger the release of norepinephrine, a stress hormone that raises blood pressure and heart rate. ·For a diabetic, a large meal will not only increase blood sugar levels, but will also impair the ability to process those sugars. ·For those who are prone to heartburn, a large meal can lead to painful gastric reflux. ·Consider that the average stomach holds about eight cups of food. When it is stretched, chemicals are released that inform our brain that we are full. Many of us ignore that signal and just keep on eating. At some point the body will send out nausea signals. Continuing to eat, and stretching the stomach beyond its capacity, can (but very rarely does) lead to an actual rupture! Here are some classic suggestions for the upcoming holiday season: Don’t arrive at the meal ravenous. Eat slowly and consume lots of filling foods with a high water content, such as soups, salads, and other vegetables and fruits. If you are hosting, use smaller plates. Keep the serving dishes in the kitchen, not on the table. Use smaller serving spoons and serving dishes. Serve foods that require utensils (as we tend to overeat finger foods). And finally…push away from the table before you feel completely full, and take a relaxing, sociable walk after dinner.